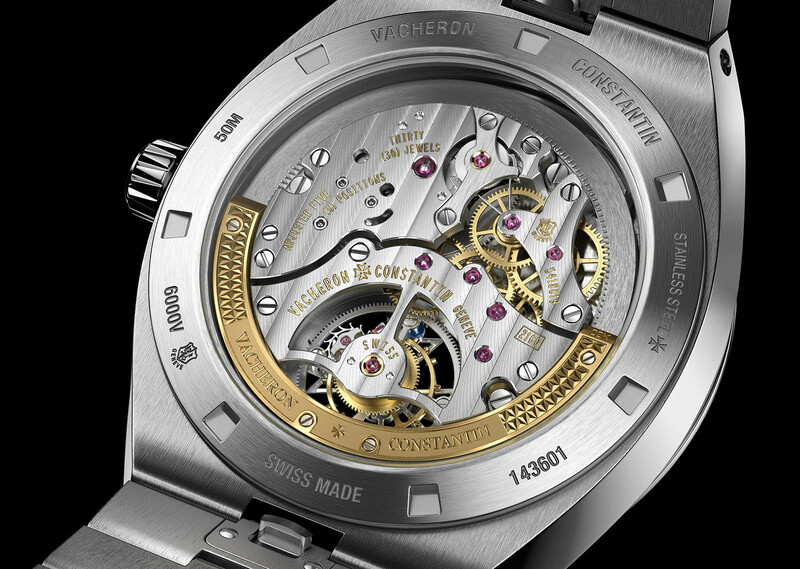 After the launch of the FiftySix Tourbillon, its most affordable tourbillon to date, Vacheron Constantin has now unveiled the same, superb self-winding tourbillon movement in the Overseas collection. The range got a wholesale refurbishment in 2016 and already includes an in-house, integrated automatic chronograph as well as an ultra-thin perpetual calendar. 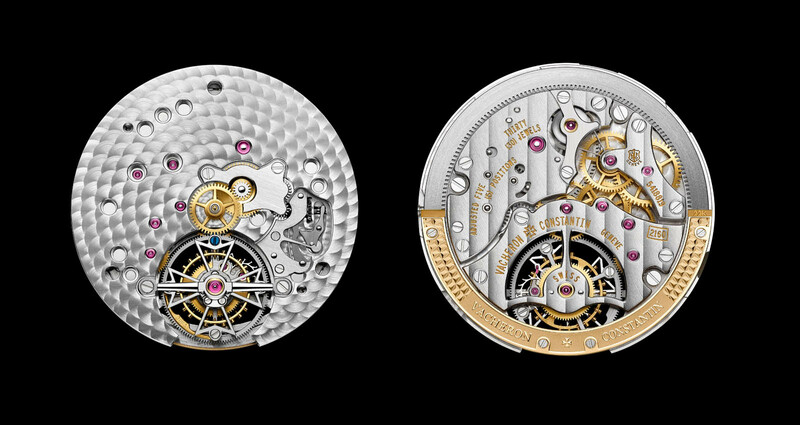 The movement within the new Overseas Tourbillon, the cal. 2160 first made its debut in the Traditionelle Tourbillon early last year, followed by the Fiftysix Tourbillon. It is one of the brand’s most interesting movements, combining a Magic Lever with a solid gold peripheral winding mechanism. As a result, the movement is just 5.65mm high, making it one of the slimmest tourbillon movements on the market. However, it manages a respectable 80-hour power reserve, thanks to a slightly smaller tourbillon cage and a slow-beating, 2.5Hz balance. Consequently, the case of the Overseas Tourbillon measures 42.5 mm diameter and just 10.1 mm in height, which is 0.8mm slimmer than the Fiftysix Tourbillon. It has a screw-down crown, and a depth rating of 50m. Like all Overseas watches, the movement sits within soft iron casing ring ensuring anti-magnetic protection. 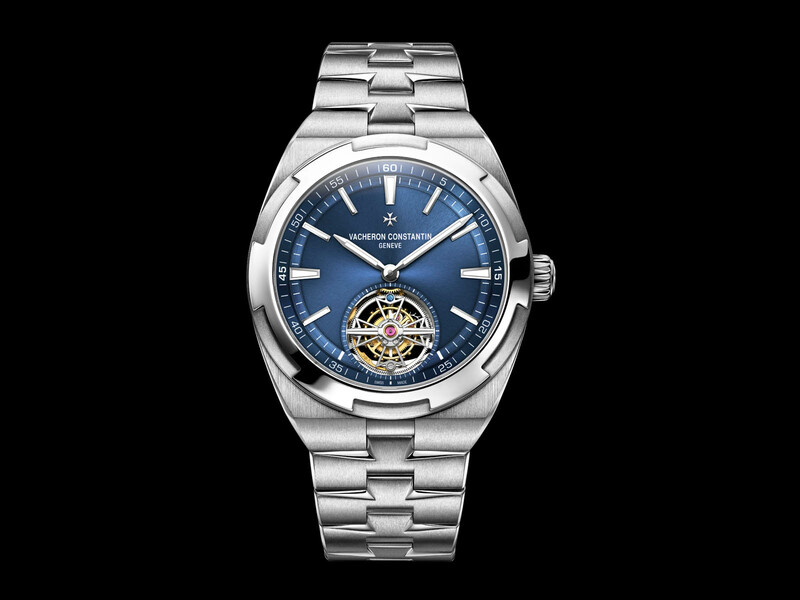 And while the Traditionnelle Tourbillon and the Fiftysix Tourbillon were both only available in precious metal, the Overseas Tourbillon is in stainless steel paired with a blue lacquered sunburst dial. As with all Overseas watches, its hands and indices are coated with SuperLuminova. The brand’s traditional Maltese cross tourbillon regulator at six o’clock is particularly striking against the watch’s sporty styling. 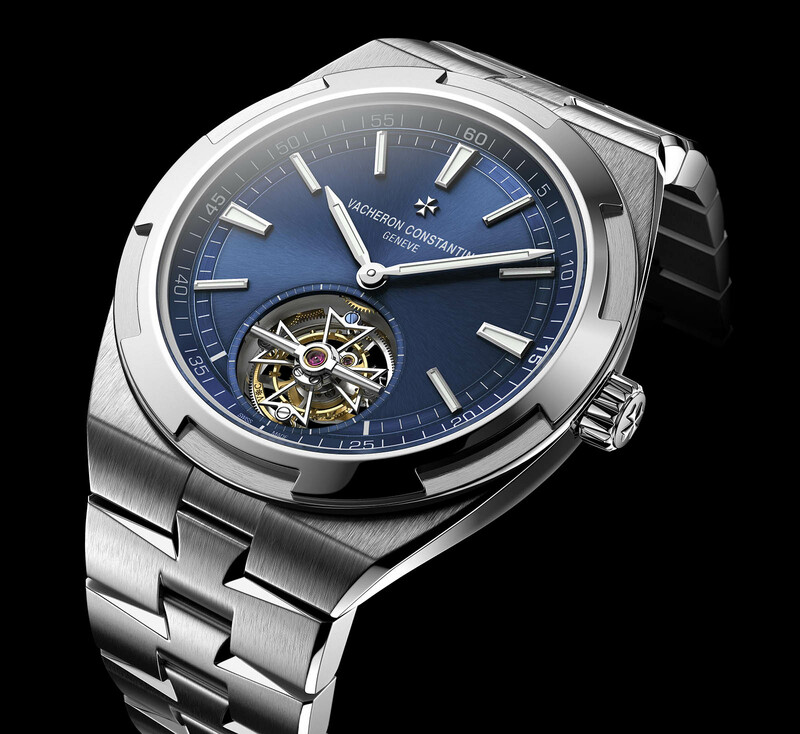 Thanks to the peripheral winding rotor, the movement is entirely visible through the sapphire caseback. As with all Vacheron’s mechanical watches, it is finished to Geneva Seal standards, decorated with Geneva stripes and polished bevels. Like the rest of the Overseas collection, the Overseas Tourbillon comes with a set of three bracelets (steel, rubber and leather), which can easily be swapped on and off using Vacheron’s quick-release mechanism – a sprung catch that detaches the strap from the case. 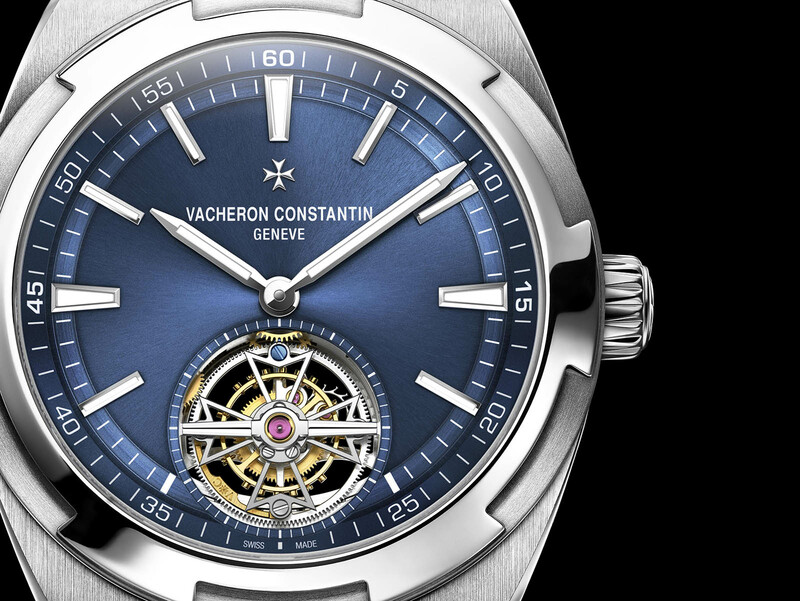 The Vacheron Overseas Tourbillon (ref. 6000V/110A-B544) in stainless steel is priced at US$103,000 or S$159,000. Streamlining the luxe travel watch. The most affordable tourbillon from VC.